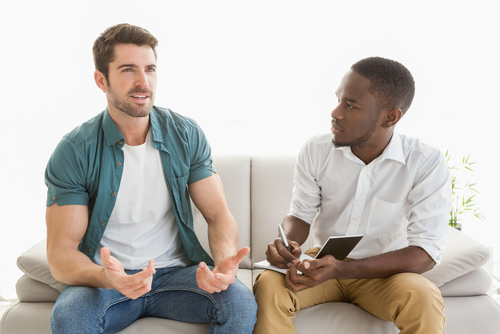 A person who is a high-functioning alcoholic hides their addiction to alcohol and maintains a successful career, family life, and relationships with friends. The signs of a high-functioning alcoholic are not always obvious and can be hard to detect. If your loved one drinks regularly, he or she might be a high-functioning alcoholic. High-functioning alcoholics seem to have control, but put themselves and others at risk. A person who is a high-functioning alcoholic might drive while intoxicated or experience blackouts. A blackout is a temporary condition that affects your memory when blood alcohol levels are high. Blackouts are a form of amnesia. A high-functioning alcoholic disguises their drinking problem because they are usually in denial. Being an alcoholic is not a sign of failure. Many successful people struggle with alcoholism and come from different backgrounds, races, and social economic status. A high-functioning alcoholic leads two lives. He or she must maintain their public identity whether they are a doctor, lawyer, or business executive to his or her private life of excessive drinking. He or she has more drinks than everyone else does. In a social setting with friends or acquaintances, your loved one might have several drinks while others have just one. He or she could experience bloating, nausea, and other stomach-related issues with excessive drinking. If your loved one drinks heavily, he or she can experience disruptive sleep patterns or insomnia. The functional alcoholic may go for extended periods without alcohol but then binge drink or drink heavily. Alcohol affects a person’s mood and behavior. Sometimes alcohol causes depression and anxiety, and can also lead to impulsive behavior. A blackout is a temporary condition that causes memory loss. This can happen to your loved one when he or she has high blood alcohol levels. If your loved one talks frequently about drinking or plans daily activities around times they want to drink, they might be struggling with alcoholism. There is hope for anyone who struggles with alcoholism. Treatment is available and recovery is possible. A person with an alcohol abuse disorder can get help for their drinking problem and live healthy and substance-free.